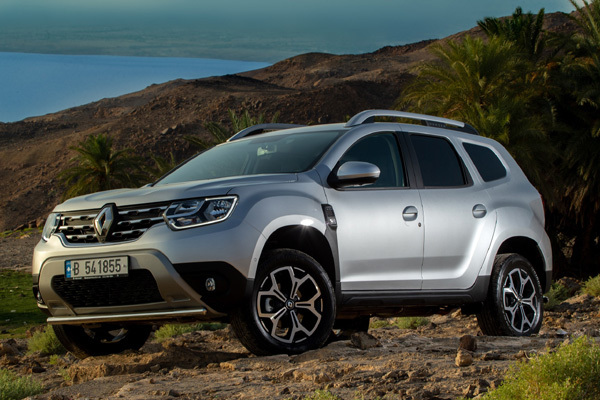 Renault Middle East will launch the new Duster, its top SUV, across the GCC from September. The vehicle, which is already on sale in Lebanon and Egypt, will be available in Jordan from August, and will also be sold in Iraq in late 2018, said a statement from the company. While offering a range of high-quality, new features, the reinvented SUV will still retain the same level of affordability, it said. The new Renault Duster boasts brand-new exterior styling, delivering a distinctly assertive and robust look, as well as an upgrade in perceived quality with a totally redesigned interior for a comfortable and user-friendly driving experience, it added. The Duster’s roominess, affordability and off-road capabilities have long been recognised as the model’s strengths and the all-new models continues to carry these desirable attributes, it added. The SUV’s exterior has been given a more robust look thanks to the addition of a wide chrome-finish grille which extends to the head lights positioned at the car’s front corners. A front skid plate reinforces the Duster’s adventurer credentials and ensures that the vehicle never loses its smart looks. Finished with Renault’s signature C-shaped lighting with LED daytime running lights the Duster is a modern SUV with a rugged personality. On stepping inside the cabin, the noticeable difference in quality is instantly recognisable - packed with ‘Easy Life’ features like Hill Descent Control, Multiview camera and Blind Spot Warning, 4x4 monitor, automatic air conditioning, Remote Engine Start (GCC only), seven-inch touchscreen tablet and Renault smart card with keyless entry system – as well as quality trims and materials. The new Duster is available in both 2WD and 4WD specifications and offers among the market’s very best off-road capability. With a choice of two petrol engines; 1.6L (4x2) mated to a CVT automatic transmission, and 2.0L with automatic transmission (4x4), the Duster is an SUV equipped for any terrain.